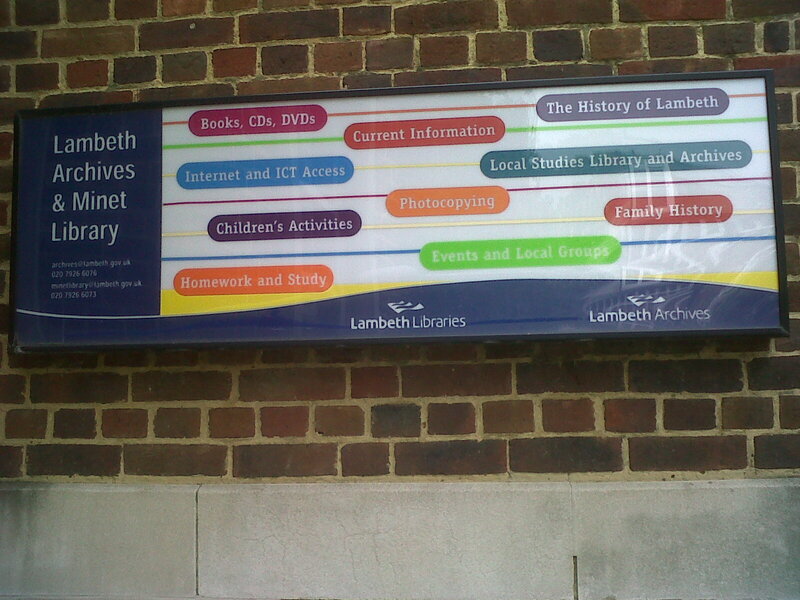 This month has seen Lambeth’s first Heritage Festival take place – with all kinds of events and talks taking place across the borough. Taking their theme as 1913 it’s included speakers on the suffragettes, ‘Black Edwardians’ and local Edwardian architecture. With just under two weeks to go there’s still lots to do – anything from a talk organised by the Norwood Society about’ letters to the editor’ from between 1888 and 1918 to a walk ‘in the shoes of Vincent Van Gogh’ on Saturday, 21 September. On Friday, 27 September you can tour the Black Cultural Archives – but you must book ahead by emailing info@bcaheritage.org.uk or ringing 020 7582 8516 or on Saturday, 28 September pop into the Lambeth Archives for a day-long programme of talks, stalls and activities. Categories: Action, Arts, Community, Heritage, History, Young people | Tags: Black Cultural Archives, brixton, Lambeth Archives and Minet Library, Lambeth Archives annual open day, Lambeth Council, Lambeth Heritage Festival | Permalink.